The restaurant Remy Pettus had his eye on wasn’t available. 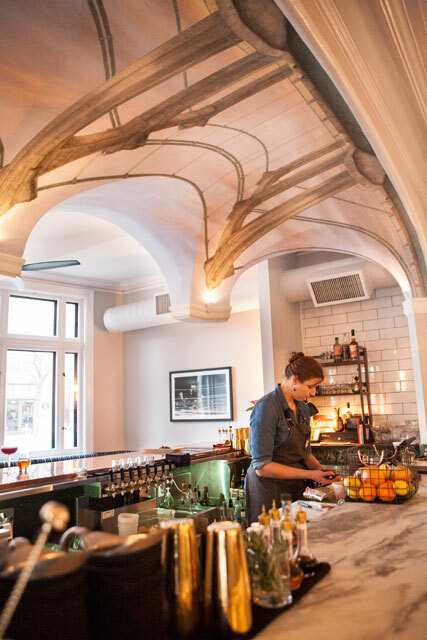 Prolific Minneapolis restaurateur John Rimarcik had shuttered the place he called “Rachel’s” for a refresh. 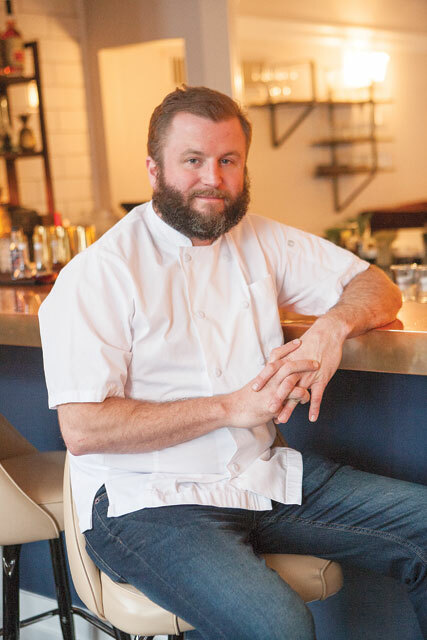 Pettus was a young chef, bouncing around town with a burning desire to create his own restaurant, and he wasn’t about to take “no” for an answer. The Culinary Institute of America-educated chef had returned to the Twin Cities after cooking around the country at places like Charlie Palmer’s Dry Creek in California and Moto in Chicago. He opened Eastside for restaurateur Ryan Burnett and was looking for the chance to open his own place. A posh, 1930s ambiance is just one aspect of Bardo’s presentation. After securing the space at 222 E. Hennepin Avenue in Minneapolis, Pettus went to work. The room was polished to 1930s glamour and glory with soft lighting, comfortable seats, and a gorgeous outdoor patio. Above the bar, a mural of the nearby Hennepin Avenue bridge curves over the bar. of the Hennepin Ave Bridge mural by Kyle Pettis. Sara Timmer was brought on to run the bar program and soon began creating fantastic, seasonal cocktails. The aptly named Sweater Weather is a mix of rye, mulled spice syrup and served frothy, over ice with a rosemary garnish wrapped in orange zest. It’s the cocktail equivalent of cuddling before a roaring fire. There’s a daily cocktail selection, allowing the bar staff to stretch their creativity and every time I ordered it, we got something expertly balanced and delicious. Chef Remy Pettus, of Bardo. 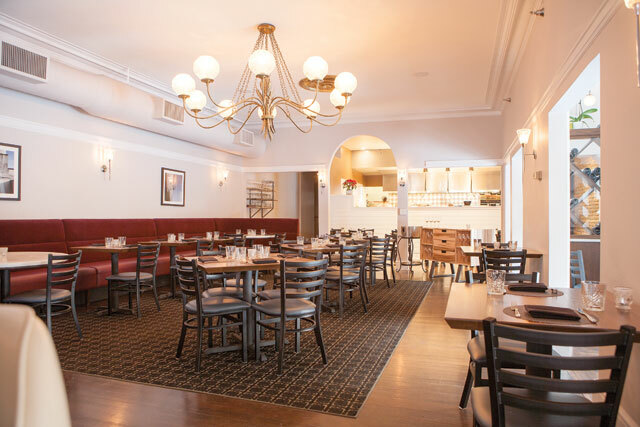 In the kitchen, Pettus’ menu changes through the seasons and is broken out by cold dishes, seafood, pasta and grains, pasture and grains, plus sides and bread. Through the fall and winter, a roasted vegetable salad makes use of cellared beets, using garnet and golden colors, plus little bi-colored ones that are turned into chips that will convert even the most ardent beet-hater. 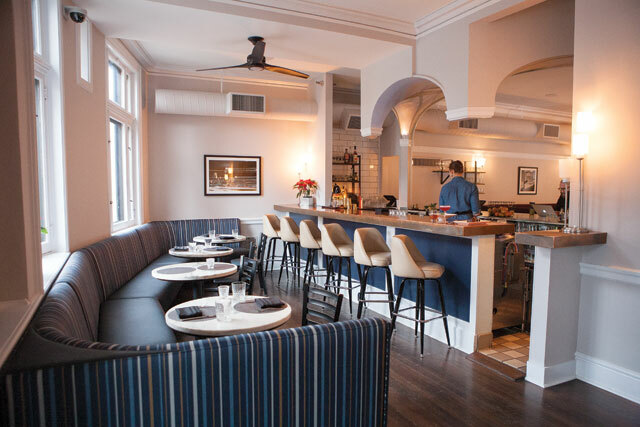 Bardo makes the most of its space by offering roomy seating arrangements at both the bar and in booths, as well as an expansive patio during the warmer months. One dish that hasn’t changed much are the boquerone: little fish that are served on charred toast with just-barely-set cooked eggs. It’s salty, funky, creamy, crusty and especially satisfying paired with a glass of Spanish wine. Speaking of wine, that’s another thing they are doing well. The wide variety of wine has all kinds of interesting, hard-to-source bottles that are a blast to explore. Prices range from completely affordable to special occasion. Pastas are made in-house and the agnolotti are puffy, soft cheese filled pillows, served with more beets. Gnocchi are exactly as they should be: puffy, chewy and just a little crusty from a healthy amount of butter and little bit of heat. The risotto was a saucy, creamy mix that included toasty grains of wild rice with hearty farro that was fleshed out with toothsome yellow wild mushrooms making a remarkable vegetarian entree. Digging into the meat, the kitchen does well with chicken. A little torchon is a young bird cooked to its succulent best with irresistible crispy skin. Although the can’t-miss stellar stunner of the dish is what Pettus does with duck. The fat is perfectly rendered, melting on the tongue with the medium-rare cooked meat. There’s an option of ordering this dish with some lily-gilding foie gras, and I say go for it. This lob of decadence is so perfectly prepared that you’ll feel like royalty mowing it down. Bardo is a remarkable neighborhood restaurant that has been filled at every visit with people who obviously live nearby. There were well-behaved kids, retirees, and hipsters all leaning into their tables, smiling in conversation and clearing their plates of all food.